Ellen M. Nigro is an intern in the Department of Conservation and Scientific Research at Freer|Sackler. 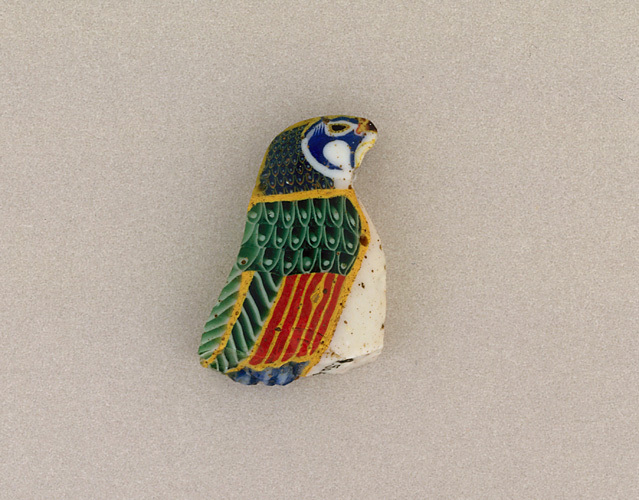 In 1909, Charles Lang Freer made his third trip to Egypt and bought a collection of nearly 1,400 ancient glass beads, vessels, and mosaic fragments in Cairo. The objects are mainly XVIII dynasty, Ptolemaic, and Roman period Egyptian pieces, but include some later Islamic fragments. Although the collection varies a bit in geographic origin and time period, all the pieces are colorful examples of fine craftsmanship, from intricate millefiori inlays to cast amulets. Freer shipped the collection straight to the Smithsonian in 1910; since then, some of it has been exhibited, but the vast majority was left unstudied. However, the current installation The Nile and Ancient Egypt features selected glass vessels from this collection. Concurrently, a scientific study of the glass collection using x-ray fluorescence (XRF) is helping researchers at Freer|Sackler understand better the elemental composition of the objects. 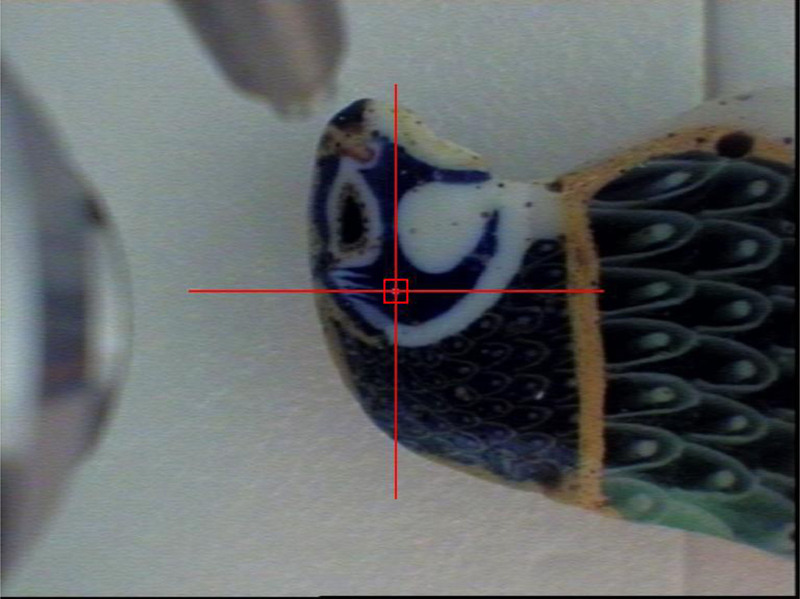 This image was taken with the XRF spectrometer camera of the glass object at top. XRF is a non-destructive, scientific, analytical method that is capable of detecting inorganic elements with certain atomic weights. The colorants in glass are mainly transition metals (those found in the middle of the periodic table such as manganese, iron, cobalt, and copper); therefore, XRF is a good way to learn about what materials the ancient glassmakers used to make the vibrant colors in this collection. (It is not able to determine chemical structures or detect organic compounds, chemicals mainly composed of carbon, hydrogen, and oxygen.) XRF uses an x-ray beam generated inside the instrument to displace inner shell electrons in the elements of the analyzed material. Higher energy electrons then cascade down to lower energy levels and release energy in the form of fluorescence. 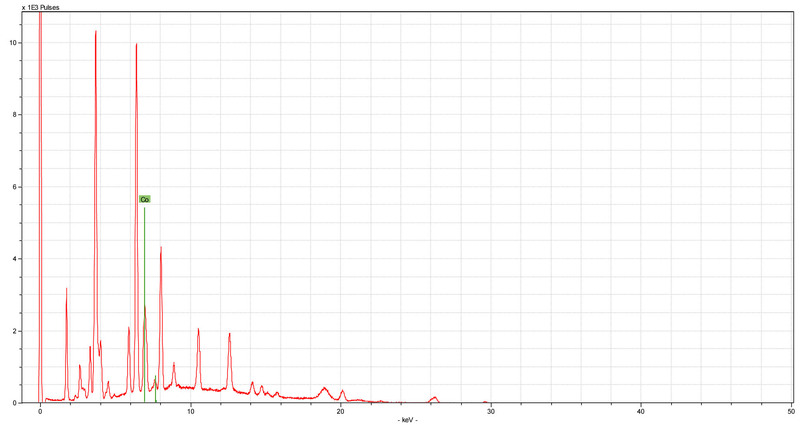 As this fluorescence is released, the instrument detects the signals and creates a line graph on a computer program, where the analyst can see the results. The x-axis represents the energy of each signal in kiloelectronvolts (keV), while the y-axis represents the intensity in number of pulses. Since each element produces a characteristic set of peaks at specific energies, the scientists can determine what elements are present in the material. it is likely the main colorant. Knowing the colorant can also provide clues about the time and culture in which a piece originated. For example, if a white glass produces strong antimony and calcium peaks, it could be colored with calcium antimonate, a common white colorant in XVIII dynasty Egypt. But if a white glass sample produces prominent tin peaks, the results suggest the colorant could be tin oxide, a material used starting around the fifth century CE. At the end of this XRF survey, the scientists at Freer|Sackler will have a much better understanding of the elemental composition of these glass objects. Although the results from XRF alone only give a small glimpse into the history of these objects, this study can help guide further scientific and art historical research. Learn more about Conservation and Scientific Research at Freer|Sackler and check out another blog post on x-ray art. Previous Post Previous Post: Meteor Spotted in Freer Gallery! Next Post Next Post: You Ask, We Answer: Why is American art in the Freer|Sackler?